We haven't even had the chance to properly review the Samsung Galaxy S6 yet but rumours of a Galaxy S6 Active edition of the handset have been rolling in. Last week we speculated that the Samsung Galaxy S6 Active may bring a waterproof design similar to that seen on the Galaxy S5, and according to a new source this is definitely the case. Insider sources known to SamMobile have revealed the Galaxy S6 Active (SM-G890A) will have a 5.1-inch QHD Super AMOLED+ display, the same as the Galaxy S6 features. It'll also come with the same Exynos 7420 SoC, 3GB of RAM, 32GB of on-board storage and a 16MP rear and 5MP front shooter set up as the Galaxy S6. The biggest change will come in the dimensions of the handset that will now be 73.6 x 146.9 x 8.8mm compared to the Galaxy S5's 70.5 x 143.4 x 6.8 mm. The Galaxy S6 Active will also bring in a new battery cell at 3500mAh, an upgrade of almost 1000 mAh. SamMobile's source also reveals it'll be first showing up on the AT&T network and there's no news of the actual release date or which territories it'll arrive in. 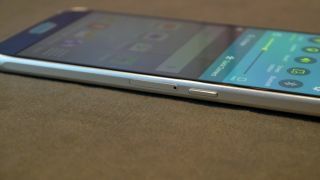 Read our hands-on review of the Samsung Galaxy S6.